Closed. Available for private functions. 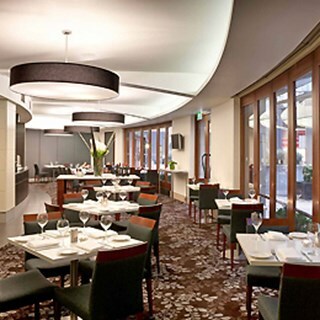 Jarrah Restaurant Southbank Melbourne provides a seasonally changing menu of fresh local seafood light pasta simple grills and steaks combined with service that is attentive yet unobtrusive. We just love this restaurant. The food is wonderful. I had the Shank and the meat just fell of the bone, it just melts in your mouth. We have been here several times and we keep returning. The staff are all very welcoming and service is good. See you next time..
Staff were great, atmosphere relaxed and food delicious and not over-cooked. Barramundi special was a real bargain. Food and service was 5 Star. Servings of delicious food was delightfully large...especially our main course! Staff members were exceptional. Restaurant and bar however was surprisingly empty. Background music was fine but with no other patrons, there was no atmosphere. Will definitely return regardless, maybe with a few friends. Requires signage downstairs to possibly attract patrons in the Southbank area. We loved the ambience and atmosphere of the restaurant. Service is great, friendly staff, smiling faces and the food taste great and well prepared and presented. Pleasant location. Good service. Value for money. Food was delicious. Cooked beautifully. And our waitress was so lovely. I really enjoyed the food, drinks and service. they were exceptional. The ambience was good too but could improve with a lighting and soft music. Not essential though. Very nice restaurant with very friendly staff. Great location too. We enjoyed an excellent meal - well cooked and presented and piping hot. Jodie provided outstanding personalised and caring table service to ensure our needs were fully met. I couldn't find the restaurant because the directions were inadequate and did not end up dining there. Have always enjoyed coming here. Friendly atmosphere and staff are always pleasant and helpful. Lovely touch when they found out it was a birthday celebration. Full marks. Excellent steak and excellent service.Will be back. I ate here for breakfast and dinner. Espresso coffee and eggs cooked to order were available at breakfast. Smaller but good variety of breakfast buffet items. The dinner sitting seems to operate on a demand basis ie the restaurant was only open when they had bookings, and they only set up just enough tables for the booked guests. Walk-ins had to go and sit in the bar, which is not great for families. On the other nights which we did not book the restaurant (and it seems no one else did either) it was shut. Suggest that they put a sign up saying Bookings Essential etc. 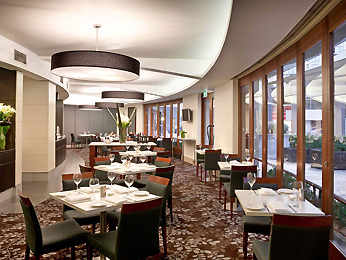 It is a better option to eat at the hotel rather than the restaurants outside in the local vicinity. The food could have been better seasoned but otherwise was fine. Efficient staff members, quality food and good atmosphere. Second time dining there and look forward to our next visit. We had a lovely time in intimate setting.